Insurethebox confirmed its credentials as the UK’s leading telematics-based insurer when it celebrated the sale of its 50,000th motor policy. 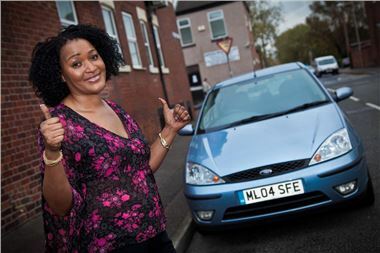 The landmark was passed, just 16 months after launch, when Elizabeth Ngulube from Stockport, Greater Manchester purchased cover for her Ford Focus Edge. Elizabeth, 39, says she saved "crate-loads of money" thanks to insurethebox, whose quote came in cheapest by about £2,000. "It has made driving affordable," she said. insurethebox pioneered the use of telematics for car insurance in the UK. “We’re delighted to welcome Elizabeth to our growing family of customers,” said business development director Mark Grant. One benefit of telematics is that, by incentivising better driving, it helps to bring down the number of accidents. Recent data showed that, as well as getting cheaper car insurance, around 60% of insurethebox customers receive discounts on renewal at a time when motor insurance prices generally have risen by 30%.